Growing up on a 156-acre sheep farm in upstate NY gave me something truly special: a very active imagination. (For those guessing “an affinity for sheep,” shame on you). The fifth of six children, I also got a life-lesson in the benefits of candor, hard work, and a strong desire to get the heck out of there. After college and a slew of odd jobs – everything from managing pizza shops and driving a 2-ton delivery truck, to chemical analysis for Kodak – I found advertising, and at one point, was overseeing the creative branding for the 9th largest bank in the country. Soon after the birth of my son, Faedon, my wife and I moved the family West in 2006. In 2008, our daughter Kellyn came along. Now that we’ve gotten comfortable with price of real estate and city living in the Northwest, I’m proud to call Seattle home. Oh, and I do a fair bit of voice work, too. Currently, I write a lot of videos for Microsoft and am the voice of Azure. 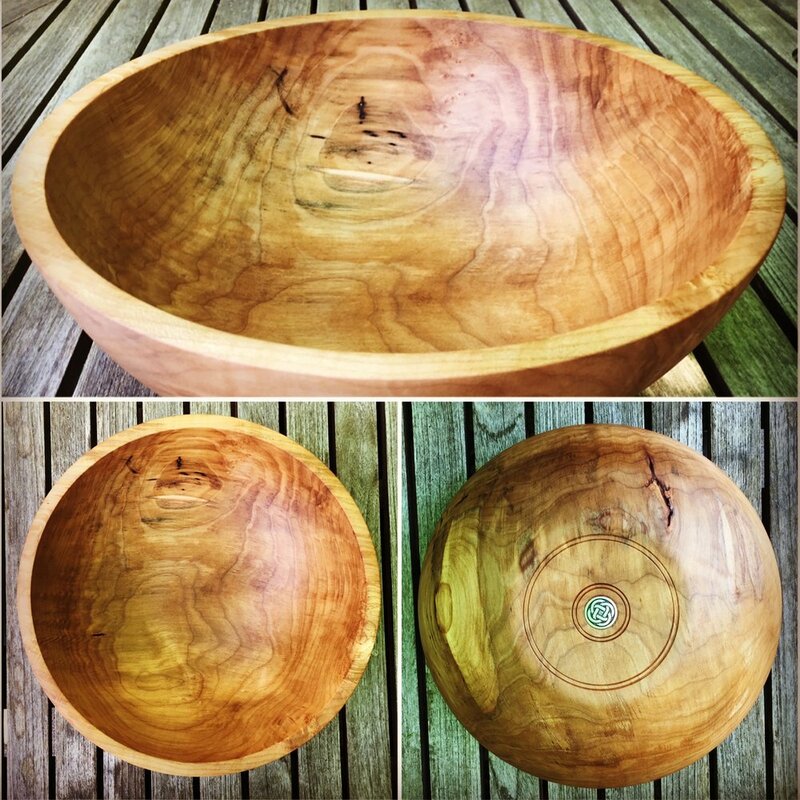 When I have time, I like to play with my lathe—making bowls, mostly. This one’s maple, about 14" across with a bit of wormwood in there. I sell by word of mouth; wedding and housewarming gifts are pretty popular.